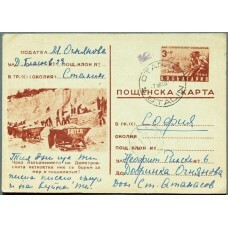 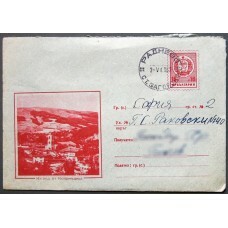 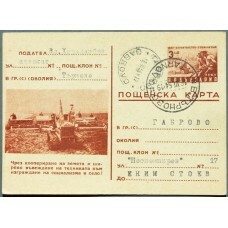 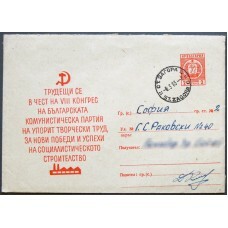 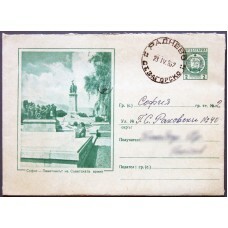 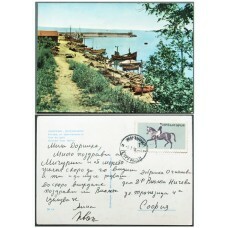 Travelled postal products featuring postmarks by Bulgarian post offices. 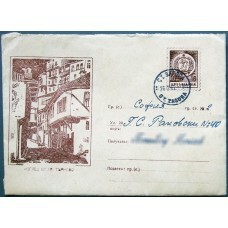 Surcharged Bulgarian Postal Card 1951 Michel #P92b (violet mark 12st.) 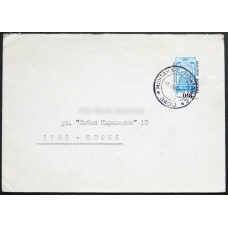 Postmark (Poststempel): ..
Bulgarian Postal Card 1951 Michel #P91b Postmark (Poststempel): V. Tarnovo 1954 Addressee Postmar..
Postmark (Poststempel): Michurin (Tsarevo) 1966 / Commemorative stamp 1965 1st Michel #1571, Yve..
Postmark (Poststempel): Montana C, October 18th 1999 / Definitive stamp of 1999 0.18Lv Michel #4..